In 2003 the library built a new building totaling 6,000 sq.ft. and significantly increased its collection. The Darien Public Library provides a multitude of wonderful materials and services to the Village of Darien and its surrounding communities. If you’re looking for items to check out, our material collection includes books, audio books on CD, magazines, music cds, Dvd’s , All can be rented at no cost with your free Darien library card or with a card from most surrounding area libraries. The Library offers storytimes for preschool children, and many other events and programs throughout the year. We invite you to come in and browse in our library book sale. We offer a variety of books for children and for adults. Children’s books sell for .25 cents, adult soft covered books for .50 cents, and adult hard covered books sell for $1.00. In addition our Large print books are.50 cents. We are also selling Dvd’s and CD’s. Our Dvd’s are .25cents and our Cd’s are $1.00. Many of these books are just like new. Come in and browse! Were so much closer and so much cheaper than Barnes and Noble. 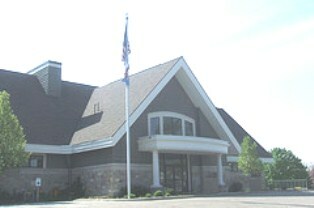 Darien Public Library is a member of the Shared Holding And Resource Exchange (“SHARE”) Consortium linking Walworth, Rock, Kenosha and Racine Counties in Wisconsin. This enables access to thousands of titles to choose from! We get the occasional question from patrons, especially children, about how many books can be checked out at one time. We are happy to report that if the patron asking the question has a past record of responsible book borrowing/returning, there is no limit to the number of books that can be checked out. Monday thru Thursday: 10:00 a.m. – 7:00 p.m.